What's better than a $100 wine -- a $100 wine for $35, right? Maybe ... but that perception is a problem that wineries which have been pricing their wines fairly all along are facing now. Call it "wine market compression." Other than a few perennial big names like the Bordeaux first-growths, most high-end wines aren't selling. In fact, I'm writing this a little late, because the true collapse in the market for $100 wines happened in 2008; the market may be recovering slightly. But the market isn't recovering enough to make two vintages go away, so many of those 2005 and 2006 wines once priced at $100 are quietly filtering out through the discount market. Sites like Wines Til Sold Out, Wine Spies, Wine Woot and others have emerged to sell $100 wines for $35. The idea behind all of them is similar: deals are offered for a brief time, so you have to buy now or lose your chance. The markdowns from original prices are staggering. So which would you rather have: a wine originally $80 for $37.99 (with free shipping on four bottles) or a $35 bottle ordered direct from the winery -- for $35? The former, right? Anybody would rather have $80 worth of goods. The question you have to ask yourself is, are you really getting $80 worth of goods? Or was the wine overpriced in the first place? I got into this discussion during a lunch roundtable at Bien Nacido Vineyards, where I tasted a number of superb Chardonnays and Pinot Noirs from different producers, all priced between $30 and $45. For the uninitiated, $35-40 is a reasonable cost-of-production-based price for a premium wine made from grapes from a well-known vineyard. Yes, Fred Franzia can get you a bottle of wine for $2, but he doesn't use hand harvesting, a sorting table, etc. For most wines, prices above $40 have what car dealers refer to on the sticker price as "ADP": additional dealer profit. For years I have enjoyed the California wines in this price range more than any other. They're often great versions of out-of-favor varietals like Syrah, or winemaker pet projects from pricey vineyards. The best Zinfandels in the state usually cost about $35 because Zin fans won't pay more, and high-end buyers aren't that interested in Zin. Cabernet Sauvignon is not more expensive to produce than other grapes; it costs more because people pay more for it. Pinot Noir had a big price run-up after "Sideways," but the truth is it doesn't intrinsically cost much more to produce than other wines. You have to hand harvest it, it needs gentle treatment, but that can all be done for under $50 -- even at DRC. Prices above that are all about land costs, debt load, ADP, and sometimes the winery owner's ego. It's hard to blame winery owners who took advantage of the wine gold rush and jacked up their prices. Sometimes it's the Napa Neighbor Effect -- hey, he's charging more than me! But often it's just good business. If you were willing to pay me $50 to read this blog post (oh please), I'd be a fool to not take it. But this is where we are now: folks who didn't follow the gold rush, and charged reasonable prices for their wines all along, are now being squeezed from above as pricier wines fall from the heavens. "It's the piecemeal value effect: I'm going to buy this $50 wine for $30, so why should I buy your $30 wine?" said Costa de Oro winemaker Gary Burk. So I ask you, gentle reader, to think about those wines on the deal-a-day Internet websites this way. If that was really a $100 wine, wouldn't it have sold for $100? Wouldn't sommeliers have championed it? Wouldn't wine stores have recommended it more strongly to their customers? I'm NOT suggesting these deal-a-day wines are bad wines; not at all. Many of them are very good wines. What I am saying is that the market has ruled on their actual value. I would say that it's what the deal-a-day site is charging, but unless the wine actually sells out (sometimes they don't; these businesses often pull a wine off the site if it's not selling fast enough) its actual value is still somewhat less than what you paid. And maybe, just maybe, a wine that has been selling all along for the same $35-$40 price is actually worth more. I tasted some knockout wines at Bien Nacido, but the one that impressed me most was a varietal I don't generally like, Roussanne. Often, especially but not exclusively in California, I find Roussanne to be fat and waxy, and it's just not my cuppa wine. Great post as always... it truly amazes me ( although I guess it shouldn't ) at the major markdowns on the "big names " that I'm seeing on the wine discounter websites. I've also read that $20 is the new $35, and at least here in Oregon, that certainly is becoming more common.. there are a ton of good to great wines ( including Pinot Noir ) in the $20 price range (+/- a few bucks ). Speaking of Rousanne... there is a guy named Byron Dooley, from Seven of Hearts wine in Carlton who makes a great roussane... he also makes a rousanne/viognier blend which is ridiculously good and can be found for well under $20. Great reading, yet again. It sometimes amazes me how little discussion the one purely objective thing about wine, price, generates in the wine press. I enjoyed getting the inside scoop from an experienced writer's perspective. I often try to tell people who shop discount sites that the list price and % discount don't matter. A winery can ask any price it chooses; what matters is the final price you pay. But that sticker price and perceived discount still seems to sway people. Bien Nacido Syrah is a great example. Not cheap, but not marked up a crazy amount either. I'd take that any day over some mass-market Napa Cab marked down from $60 to $30. Bien Nacido Syrah is actually under-valued, but I guess that's an inefficient market for you. It's important to try to remember to divorce issues of quality from issues of value. A $100 wine does not necessarily taste better than a $5 or $35 wine. However, the ratio between supply and demand for the $100 wine is different than for the $5 or $35 wine. In other words, just because 500 cases of $100 wine sell out faster than 500 cases of $35 wine, this doesn't mean the $100 is of higher quality. It just means it sold out faster than the $35 wine. At least the guy that priced the wine fairly isn't going to suffer when the economy picks up. Wines like Caymus that sold to restaurants at $18 a bottle(wholesale)are going to have a hard time getting any takers at $45. I guess I'm a deer then. 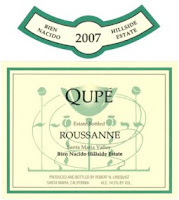 And I like roussannes I've had from Andrew Rich ($20, Columbia Valley) and Truchard ($20, Carneros) even more than the Qupe, and so to me are worth more. As to your larger point: I'm suspicious of wines that cost more than $35, suspicious that what I'm paying for is a conspicuous tasting room, a battery of marketing employees, and/or servicing on an oversized debt. And yet I, too, am willing to accept prices higher than $35 in a few, limited circumstances, when scarcity + "ADP" prestige means I have to pay a bit more than that. I think that anyone who really gets into wine is going to make some allowances somewhere for wines that in fact probably cost too much (raise your hand if you *really* think Barolo's additional year of aging means its cost of production is that much more than Barbaresco) so I'm probably just as much of a sucker as anyone, even if it is true that I rarely buy wines that cost over $35. Great post! I very rarely buy any wine over $50 especially if I haven't tasted it. In large part because like many folks in this crappy economy, money is the determining factor and I have little of it. Aside from that, I haven't tasted many wines with big price tags (Cult wines, "premier Napa Cab"). The closest example I could find was last May when I went to Paso Robles. For expample, we went to Turley (which was great), but their Zinfandel was around $50 or so. While they were all quite good, I just couldn't get past the price tag. Not when producers a couple of hours away (Seghesio, Unti, Siduri) make wines that I enjoy as much for 15 to 20 dollars less a bottle. I "get" that the terrior is different in Paso, Turley is a big name, etc. It just doesn't mean much to me. Turley may not be the best example, but its the latest that comes to mind at the moment. Hi Blake, thanks for another great article. I have a question for you: I've made the same argument about cost of production for ultra-premiums. Most of my data is anecdotal though, from my many off-the-cuff winemaker conversations. Do you know of an economics study that’s looked into this? I’d love to have some more solid data to back this up. Thanks! 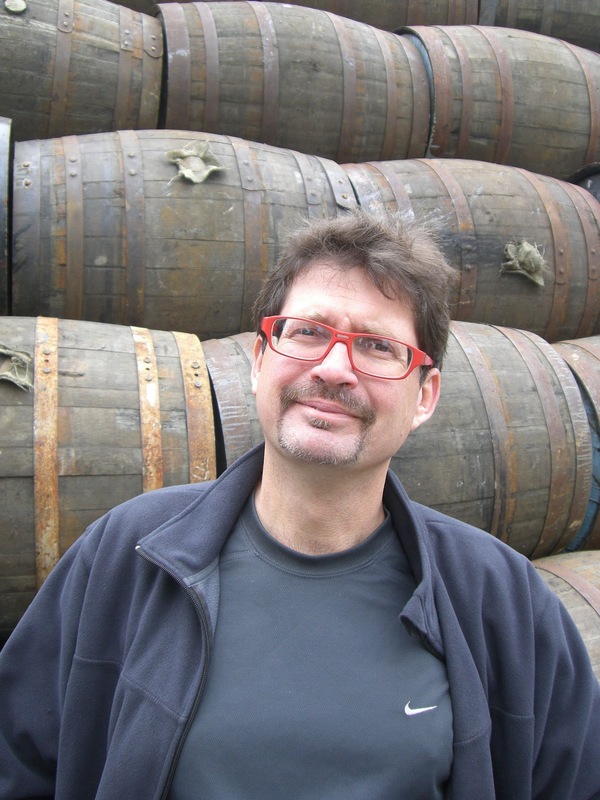 Ward: I don't know of an economics study on the cost of production of premium wines. Like you, I've just asked the question many times. I'll throw this out there for any makers of $100 wines who want to respond: Can anyone show me stats on wines that cost more than $30 to produce? There might be ice wines that cost more than that to make, and possibly sparkling wines. But I have never heard of a dry, still wine that costs more than that to make. 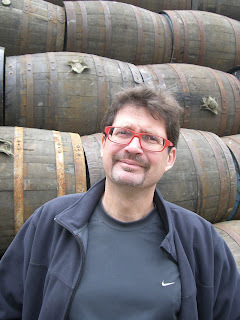 In response to Ward's question, in the February 2009 issue (#528) of La Revue de Vin de France, a six page article ran entitled 'La Veritable Prix des Grandes Bouteilles' (The Real Price of the Great Bottles). The authors compared production costs between a Dom Perignon 2000, a Petrus 2005, a Georges Roumier 2006, and a Bordeaux generic 2005. They listed production costs as 22.38, 30, 30, and 1.38 respectively. All prices listed were in euros. "Can anyone show me stats on wines that cost more than $30 to produce? " I've quoted this often and it seems apt to do it again here - I had dinner with a Master Sommelier who's a beverage director for some big restaurant chains. We got to talking geeky and got on the subject of wine prices. Now, this guy has been involved in wine production and he knows what he's talking about. He told me "there's no reason [ from a production cost standpoint ] that any wine should be [ priced at ] more than $40!" Even Y'quem, with its notoriously high production effort? So - considering how informed his opinion is, I am prepared to accept it until someone comes up with hard data! I got the following by email from Ernie Pink of Amalie Robert Estate winery in Oregon, about how much it costs to make a case of wine. He gave me permission to run it. We are one of those wineries who did not run up prices or cut prices. So, people are not "getting the deal" from us that they think they are getting from others who offer these discounts. It is true for all premium reds, that you can produce about 60 cases of wine per ton of grapes be it Cab, Pinot, et al. Also, I would argue that it is far more expensive to farm Pinot than Cabernet Sauv. First question: How many tons per acre are you producing? For us here in Oregon Pinot land the range is from 2.0 to 3.0. That means we are producing 120-180 cases of wine per acre. If you read my latest fall review, you know we target 1 bottle of wine per vine. Second Question: How much to do you have to sample to sell out? Just for fun, let's assume 10% for a small winery who produces about 3,000 cases. The big variable expense is barrels. For 150 cases of wine, that means 6 barrels. Assume 1/3 new and you have $2,000 in new wood and 1/3 second fill for $1,000 and 1/3 deadwood at $0. The small variable cost is packaging at about $15 per case. And then there is fruit. Big vineyard names here in Oregon can command $8-10,000 per acre. Assuming the birds leave enough fruit, let's use $9,000 per acre at 2.5 tons per acre yields 3,600 per ton, or $60 per case. At 2.5 tons per acre, we see production of 150 cases of which you can only sell 135 due to sampling, wine media etc. Total variable cost into 135 cases: $90.55/$7.54 per bottle. This excludes winery taxes, permits, fee's regional wine board assessments et al. Assume you have a custom crush outfit make your wine, they may charge $35 per case plus $10 per case to bottle here in Oregon. So, $45 times 150 cases is $6,750 into 135 cases is another $50. So, if you are a virtual winery, the least cost model is about $140 per case spread over about 15 months, from growing season to post bottle shock. Now if you have a mailing list and it is all gone in a week, you can sell for $300 per case ($25/bottle), less 10% discount and make $280; 100% back on your investment. But if you need a sales force, as in distributor, you will be selling at $150 less 2% samples netting you $147 per case on a cost of $126.50 ((12,225 + 6,750 /150)). This means, you will be making $20 per case times 150 cases is $3,000 per acre. The land owner makes money at $9,000 per acre. The distributor makes 33% margin. The "virtual" winery makes $20 per case on a retail case value of $300. Total net revenue is $20 * 3,000 cases = $60,000 (15.8%) before sales costs on an expenditure of $379,500. However, you will still have sales/marketing expense in websites, sales trips, samples, travel etc. For Ward Kadel, on wine production costs. Josh Bergstom has stated his costs on a bottle of Pinot is $37 so he must sell for $65. "WS Jan 2010"
Montinore Estate who is also biodynamic and organically certified, sells their Estate Pinot for less than half what he claims it costs him to make his Pinot. Montinore Estate Reserve is $28 but still under what Bergstrom claims his cost is. Montinore Estate has two vineyard designates Grahams Block # 7 and Parsons Ridge that also retail for less than $37. The vineyards are about ten miles apart. Could be the heavy bottles or harvesting methods, hope that helps. I've never had Bergstrom's wines so I have no way of knowing if they are in any way better than Montinore's pinots. But from what I can tell, there are at least two big reasons why Bergstrom's "Vineyard" bottling certainly involves higher production costs than Montinore's Estate Pinot. One is that the Bergstrom Vineyard in the Dundee Hills was established in 1999. Montinore was founded in 1982 well north of the high-rent appellations. I'm going to presume for the time being that Bergstrom's per-acre establishment costs were considerably higher, and I'm going to presume that both winery's owners need to pay back the bank, but at a higher per-acre rate for Bergstrom (even though Montinore was purchased by the current owner in 2005). Another big reason: yields. Can't get info on Montinore's tonnage, but it's a classic and correct (and good!) pinot that tastes like the usual 2.5 tons per acre. Bergstrom aims for maybe 1.3 t/a, so he presumably gets half the wine per acre and probably has higher labor costs to drop all that fruit. Not sure how size affects production costs, but Montinore has 123 acres of pinot, Bergstrom Estate is 15 acres. And I'm pretty sure Bergstrom buys a lot more new oak every year. All this said, the price differences are shocking: $19 for Montinore Estate 2009 and widely available at shops across the country (i.e. sold for maybe $10 to distributors?) versus $78 for the Bergstrom Vineyard 2008, most of which gets sold directly, I presume. So Bergstrom probably makes 8x the amount of money per bottle. Even given all the above, I am, uh, less than certain that production costs alone account for this kind of price differential. Oregon pinot noir has been a good example of the market at work. There were lots of terrific wines available in the 2008 vintage for under $30 - and a handful of very good ones under $20. Prior to the economy going south, $30 was pretty much the price of entry. A few wines still had the ability to go up, though. A 2006 Anam Cara I originally paid about $32 for had gone up to over $40 when I thought about reordering, so the demand was there for that particular bottle. I have owned and operated a (average over the years) 45,000 case winery in the Columbia Valley, since the 1980's. These comments on cost to produce a wine are missing a very large list of ingredients, "indirect costs". Here are some of the key ingredients: Employees not included in cost of goods; healthcare; postage; dues and memberships; vehicle mileage; shipping supplies; office expense; advertising;design and artwork; software;trade show fees; life insurance;entertainment and sales calls. Gallo can make money selling wholesale at $2.50 per bottle; a Napa winery can lose money selling at $25 per bottle. It's all about expenses, and economies of scale. A $40,000 vehicle has a much larger impact on net profit for a 5,000 case winery, than for a 50,000 case winery. We figure about $4.00/bottle average to produce, and about the same to cover all of the above listed items. So, producing for $4.00 a bottle, and selling at $8.00 a bottle, gives us about 10%, or $.80 a bottle, profit. The difference is in expenses. Did I mention the cost of the bank loan? Good post. Subjective question, but I'd say that there has never been more good wine being made than there is today. In this global glut I think the price break is around $25 -- that is plenty to find a very enjoyable wine. CP: I don't think $25 is a totally sustainable price for an honestly made hand-harvested single-vineyard wine from a respected region. There are plenty of great wines at $25 -- and less -- but if you ask, say, Willamette Valley Pinot Noir growers what different steps they could take for $35 retail instead of $25, the answers would be significant. "the market has ruled on their actual value"
What does that mean? The issue is not value but quality, and many, many wines are ridiculously overpriced. If you enjoy wine and want to drink good wine ( by which I do not mean the fruit and alcohol bombs that pass for wine in this US market), then you have to spend hard cash. The discount sites you mention offer many good quality wines for less money. Why? Because they did not get the Parker 90 plus points rating. If you end up with anything below that, your wine decreases in price, and that is where most of these sites find their producers.